Storytelling is a popular performing art in India. Each region has developed its own style and tradition of storytelling in various regional languages combining musical compositions between narrations. Indian fables, mythology, folk tales and epics provide an incredible source of children’s stories. 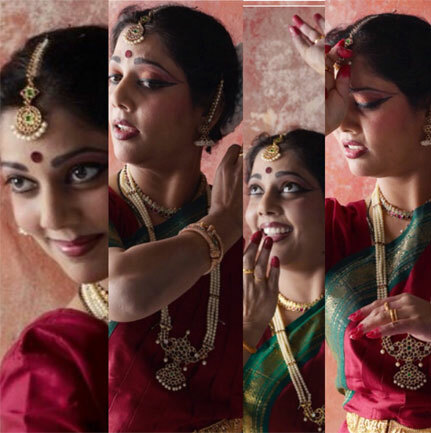 Pushpanjali Dance Company uses storytelling techniques from the ancient and traditional classical dance form Bharatanatyam. With an extensive vocabulary of beautiful hand gestures, facial expressions and intricate graceful dance movements, this classical dance form brings stories to life. These storytelling techniques are an invaluable teaching tool for teachers, especially for those working with early years as it would help teachers inspire and develop children’s reading and narrative skills. Children remember stories and sequences of movement better if they are combined with dance, music and storytelling and they are more confident and uninhibited when encouraged and involved in the sessions. The training sessions will enhance teachers’ professional development. It will develop their confidence and enable them to make stories entertaining and interesting by narrating them in a stylised and expressive form. It will also help develop fundamental skills in working with early years while exposing children to other cultures. Storytelling through expressive dance is a stylised art form where the head, eyes, limbs, hand gestures and different movements are used to narrate stories or describe various objects whether they are elements of nature or inanimate objects. Teachers will receive a resource pack with picture illustrations and information on the various techniques taught during the course.